DRESS CODE IS STRICTLY ENFORCED: For the dayclub there is NO: sweats, jeans, basketball shorts, or sports jerseys allowed. Looking for the perfect room? W Scottsdale has you covered. 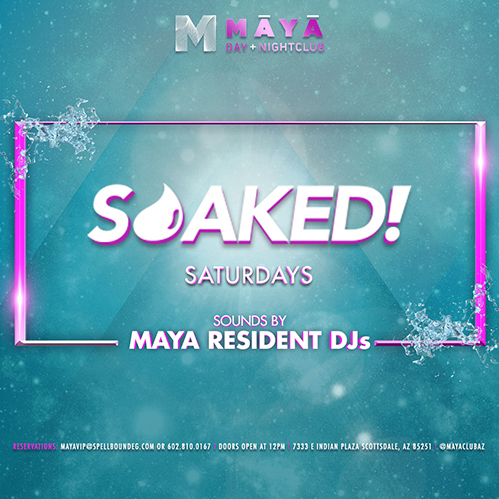 Located in the center of downtown Scottsdale, W Scottsdale anchors the new Scottsdale Entertainment District and is across the street from Maya Day + Nightclub. Reserve your room at W Scottsdale today by exploring wscottsdalehotel.com. Tickets: After completing your purchase on Eventbrite, you will receive an email confirmation with your attached PDF ticket(s). You MUST print and bring your PDF tickets AND VALID PHOTO IDENTIFICATION to be admitted for the event. You may download the Eventbrite app and show your ticket(s) on your mobile device for entry in lieu of printing. Ticket Transfer Policy: You may gain entry to the event even if your name is not on your ticket ONLY so long as the barcode is scannable. Maya Day & Nightclub is not responsible if ticket(s) cannot be scanned and the order is under a different name than the person presenting the ticket. Please do not post a photo of your ticket publicly in order to avoid the potential risk of a stolen barcode. Tickets are treated like cash and cannot be replaced if lost or stolen. TICKET REMINDER: To ensure your satisfaction, Maya Day & Nightclub cannot guarantee tickets purchased from un-authorized 3rd party resellers (individuals or brokers). We recommend that you purchase tickets directly through mayaclubaz.com, eventbrite.com, our authorized partners, and the venue box offices.